LONDON, UK - June 12, 2013 - Samsung Electronics Co., Ltd. today announced the launch of the Samsung GALAXY S4 zoom, a powerful new device which combines the stylish heritage of the latest GALAXY S4 smartphone with advanced photographic capabilities. Part of the GALAXY S4 family, the GALAXY S4 zoom is the realization of Samsung's mission to create a single device that can fulfill the role of both an industry leading smartphone and a high-end compact camera. 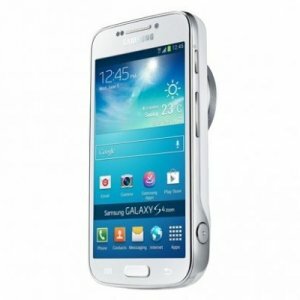 Combining 10x Optical Zoom, 16 Mega Pixel CMOS Sensor, OIS and Xenon Flash with the very latest Samsung GALAXY S4 technology, the GALAXY S4 zoom sets new standards for perfect mobile photography. It is the ultimate smartphone and camera experience in one, and the only device you'll ever need.